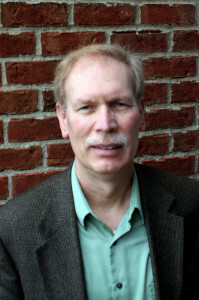 Doug founded Harsany & Associates, LLC as a consulting firm in 2010. His role is both to provide leadership to the firm and to provide technical assistance, project management, product development, research and evaluation, and training services to states, local governments, non-profits and other entities involved in housing and community development. Doug recognizes the important connection between the leadership and management of an organization and its effectiveness in accomplishing its goals, and excels at integrating a holistic approach that seeks to uncover and fix the underlying core organizational or structural difficulty that led to the identified problem, as a means of preventing this problem in the future. Doug has deep experience in housing and community development spanning over 25 years, beginning as a contractor and developer, and continuing with his management of federal programs at the State of Ohio Department of Development (ODOD). For a number of years, Doug was responsible for managing all Housing Programs administered by ODOD, including both homeownership and rental projects, with a diverse set of eligible activities. Projects received funding from a number of sources, such as the HOME Investment Partnership Program (HOME), the Community Development Block Grant Program (CDBG), the Neighborhood Stabilization Program (NSP), the Low-income Housing Tax Credit Program (LIHTC), and the Ohio Housing Trust Fund program (OHTF). Doug is experienced in working with Federal, State and local government agencies, non-profits, and Community Housing Development Organizations (CHDOs). Doug has a master’s degree in City and Regional Planning, completed the Harvard University Program for Senior Executives in State and Local Government, and is certified with the American Institute of Certified Planners. He is also a Certified HOME Program Specialist for Administration, Regulations, and Rental Housing Compliance and a National Development Council Housing Development Finance Professional.